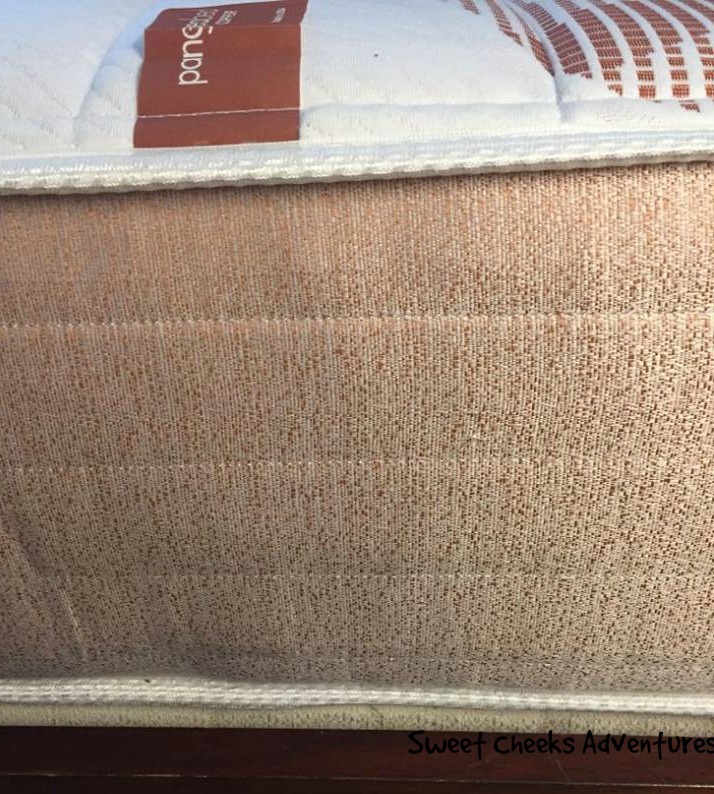 Sweet Cheeks Adventures: Give the Gift of Sleep with a PangeaBed Copper Mattress! Give the Gift of Sleep with a PangeaBed Copper Mattress! A very special Thank You to PangeaBed for sponsoring today's conversation. All opinions, videos and pictures are my own. As a mother, one might say "Sleep is over rated." They might say "you can sleep when you're dead." I have never been one that believes either of those sentiments. Sleep has never been an issue for me. Sometimes I feel as though I could be narcoleptic. Just close my eyes and I'm out for hours! I'm usually good for 8 hours a night! My sleeping habits aren't something I want to share with you in this post though. I want to tell you all about the mattress I've been trying out! It's from PangeaBed! My husband Jason and I have been enjoying our new PangeaBed Copper Mattress for a few days now. Taking the new mattress out of the box was quite a situation! You see, I wanted to create this video for you. A video that would let you know how the mattress is shipped to you and how easy it actually is to get all set up! Take a look! How easy is that!!? Normally you might have someone helping you, or not. Either way it can be done with one person. Jason was nice enough to be behind the camera for this one. I think getting the large box into the house off the porch was the only trouble I had. So easy! PangeaBed Copper is engineered to accommodate any sleeper type. This is perfect for Jason and I! I like to sleep on my stomach and he sleeps on his side. I have also spent a full night on my back and felt great the next morning. 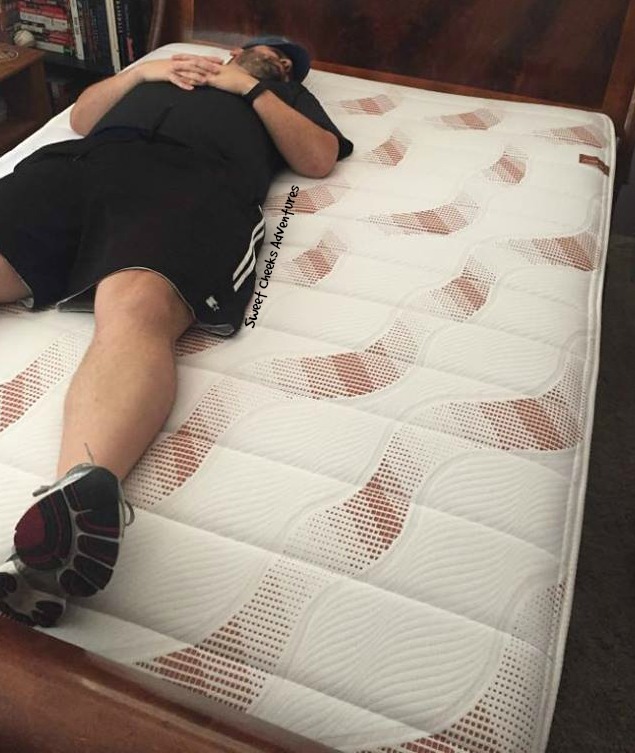 PangeaBed Copper Mattress has 4 layers! If its possible to be in love with layers, I love these layers! Every time I'm laying in bed I think about how they are working together to assure that I have a great night of sleep. Our Luxury Quilted Cover’s beautiful and quilted with comfy super foam, designed to cradle your body in an hypoallergenic material. Talalay latex is the Gold standard of all foams and latex's. Superior pressure relief to help alleviate pinches and pains that interrupt a good night’s sleep. Hypoallergenic, dust mite resistant, and inherently antimicrobial, inhibiting the growth of bacteria, mold and mildew. - ideal for allergy sufferers. Breathable - Air flow technology combined with its superior open cell structure makes for a cool sleeping environment. Exceptional Durability: The most natural, durable, cushioning material available. Supportive: The premier material used to create optimum balance of support and uplifting comfort. Naturally conforms to body contours for optimal back support. The addition of Copper takes the benefits of Talalay Latex to the Next Level. The Element of Copper. Since Copper has a huge amount of important cooling and sanitary benefits, we decided to infuse it within the 100% Pure Talalay Latex of our top comfort layer. By combining these two extremely powerful components within our PangeaBed™ Copper Mattress, we created the ultimate cool, antibacterial, non-allergenic bed that’s also super comfy. The optimal transition layer designed to complement Talalay’s uplifting feel. Your body’s sharp points (elbows, hips, shoulders) will activate this layer, providing you that extra cushion and cradle. Plus it's gel infused to increase the overall coolness of the mattress. This is a Solid Core High Density foam that offers the security of a superior support base with long lasting durability. Above you've read why PangeaBed thinks you should purchase their Copper Mattress. How about I share my top 3 reasons I feel you should purchase this mattress. Great to share with a partner! I haven't had any worry about waking my husband while moving around and visa versa. It is solid and absorbs all movement in my experience. While they haven't gone our of their way to say the Copper Mattress will do this, I am stepping up and sharing this little tid bit! Absorbs my curves! I mentioned before that I am a belly sleeper. There are nights where I'll end up on my side though. While sleeping on the Copper Mattress, I have noticed that the Cool Gel layer is working over time to absorb the parts of my body that are not straight. So comfy! I love to read in bed. I love to work on my laptop while in bed. I really just love to spend most of my time in bed. I wouldn't enjoy a minute of this without a great mattress. It's comfortable while I'm sitting up using the computer or laying back and reading. It sounds corny but I feel like the PangeaBed Copper Mattress was made for my body! Apparently immediately after moving the bed onto the frame, Jason needed a nap. He couldn't even wait for the sheets! His first initial thought was, "Woah! This mattress barely moved when I got on it!" Purchase your PangeaBed Copper Mattress online. They'll ship it right to you. PangeaBed is offering new customers a $125 discount for buying their mattress. Click Here to head to their website and have the Instant Savings Promo Code applied. Plus, Limited time only, get up to two free Queen PangeaBed Pillows for free with purchase of any PangeaBed mattress. Wow, this looks like a one of a kind mattress! As a mommy of 3 and one being a newborn I am on the hunt for a good mattress. Sleep is everything to me right now. I am so checking this one out for sure.